Never lose your kit again! List your name or group name on the patch and stitch/glue to your kit. Features navy blue Star of Life with orange and black lettering. Just write your name or agency on the patch with a "Sharpy" marker and attach to your gear. Ask us about our FireFighter property of patch also available. 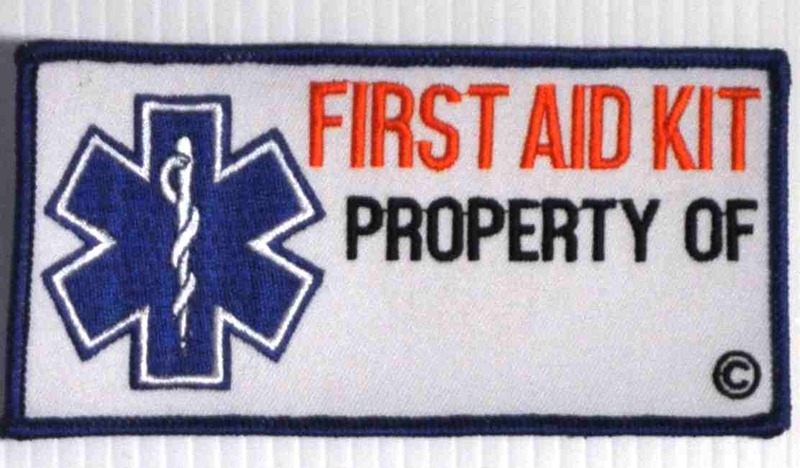 Size: length: 5.5" height: 2.5"
Note: If you would like your name or agency embroidered on the patch, Please choose the following product instead. Personalized Property of Patch.